William represents local authorities, parents, children and interveners in care proceedings and other public law proceedings. William has an approachable and friendly manner and he is able to give clear advice. William is often instructed in cases involving serious allegations of physical, emotional and sexual abuse. William has acted with a leader in several High Court cases involving complex injuries and numerous medical experts. William is experienced in representing vulnerable clients, those with learning difficulties and clients without capacity. William has experience of representing deaf clients in care proceedings and he often represents clients for whom English is not their first language. William has appeared as a guest lecturer at the Royal College of Paediatrics and Child Health. William is a member of the Family Law Bar Association. William represents parents and children in a variety of private law matters. William has represented parents in cases involving complex and intractable contact disputes and cases with allegations of implacable hostility. William has experience of representing parents in private law finding of fact hearings and in cases involving serious allegations of physical and sexual abuse. William has experience of representing parents in applications for Specific Issue Orders including disputes over the correct type of school provision or applications to change a child’s surname. William is instructed in Family Law Act applications including contested applications for occupation orders, non-molestation orders and committal applications. 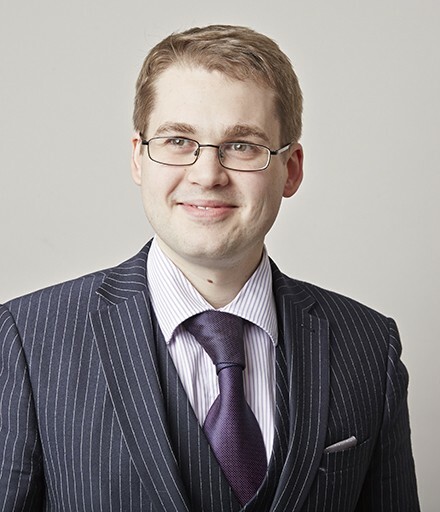 William also has experience in cases involving injunctions under the Protection from Harassment Act 1997. William is very approachable and is happy to advise at any stage of proceedings. William has extensive experience of claims involving the Criminal Injuries Compensation Scheme. He advises and represents clients in claims under the 1995, 2001, 2008 and 2012 schemes. William has experience of representing clients who have suffered severe injuries including cases involving historical sexual and physical abuse. William is regularly instructed in cases with claims for significant loss of earnings, claims for the cost of care, special expenses and private health treatment. William has appeared in judicial review applications in the Upper Tribunal (Administrative Appeals Chamber) and in the High Court (Administrative Court) arising out of decisions of the First-Tier Tribunal. William has given several talks on aspects of the Criminal Injuries Compensation Scheme as part of the annual seminar programme provided by Park Square Barristers. William may accept Public Access work, where he can be instructed directly by a member of the public rather than a solicitor. William Lindsay recently obtained a maximum award of £500,000 for a client under the 2001 Criminal Injuries Compensation Scheme. William Lindsay recently obtained an award in excess of £250,000 under the 2008 Criminal Injuries Compensation Scheme. The case involved a medically retired Claimant who had developed fibromyalgia as a result of a historic criminal assault.